From the beginning of his work on the postils, Martin Luther intended them for common pastors and people, and thus they were to be the great devotional book of the Reformation. 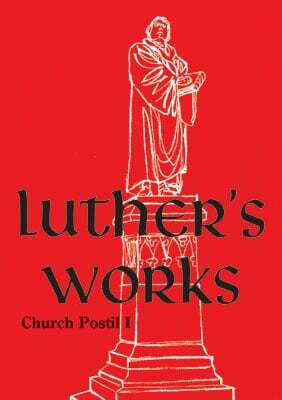 Luther’s collected sermons for the church year were originally published in two series: the Church Postil and the House Postil. These were among his most popular works. Aside from his catechisms, they did more to teach people the Reformation than any other book. 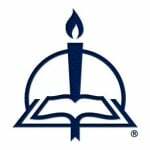 Volume 75 provides the sermons on the Epistle and Gospel readings from Advent through Christmastide in fresh, clear English. The following excerpt is taken from the Epistle Sermon for the Third Day of Christmas, on Hebrews 1:1–12 (paragraph 14). Thus Christ is our God and our Lord. As God He creates us; we serve Him as our Lord and He rules over us. Thus in this Epistle the apostle intends to speak of Him as true God and Lord over all things. Although the two natures are distinct, there is one person, so that all that Christ does or suffers God has certainly done and suffered, even though only one nature was involved. To illustrate: When I speak of a wounded limb of a man, I say, “The man is wounded.” Yet the soul is not wounded, nor is the body as a whole, but only a part of the body. But I speak as I do because body and soul constitute one person. Now, as I must recognize a difference between body and soul when I speak, so I must recognize the two natures of Christ. Again: It is not a misstatement if in the night I say I have no knowledge of the sun when at the same time I have a thorough mental knowledge of it, for I have no physical vision. Similarly, Christ knows nothing concerning the Last Day and at the same time has full knowledge of it. From Luther’s Works volume 75 © 2013 Concordia Publishing House, www.cph.org. Contact CPH for permission to reproduce this material. The complete text of this postil, including the detailed annotations not included here, are available in LW 75: Church Postil I. This volume is part of the expansion of the American Edition of Luther’s Works. Learn more at cph.org/luthersworks.